You can bet that ACA insurers will seek payback. 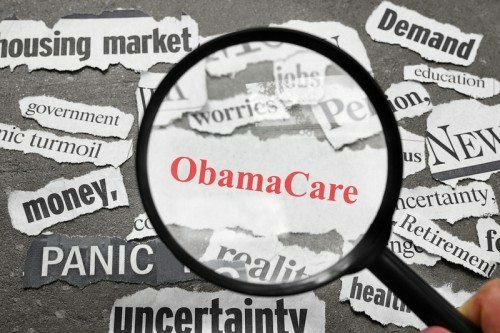 WASHINGTON, DC, May 6 – Proponents of Obamacare are downplaying the announcement that United Healthcare, the largest insurance provider in the country, that it will significantly reduce its participation in Obamacare exchanges. But it means individuals seeking coverage at the Affordable Care Act [ACA] exchanges will have fewer, more expensive choices. United Healthcare’s CEO, Stephen J. Hemsley, told investors in a conference call that “we will be down to a handful of states that we will be actively participating in the exchanges.” The company has repeatedly acknowledged that its losses as an ACA provider were just too great a financial burden. Dan Weber, president of the Association of Mature American Citizens, said United’s decision is no surprise. He cited expert observers who suggest that the company does not have “as much skin in the game” as do smaller insurers, but that its decision can have larger consequences. Other providers might reduce their participation. Haislmaier says he expects more insurers will exit Obamacare next year as their loss exposure continues to grow. “As Obamacare expert Larry Levitt at the Kaiser Family Foundation said: ‘something has to give.’ So, we can expect a new round of Obamacare premium increases to be announced by ACA carriers in the fall—just in time for the final days of the presidential election campaign. That’s bound to case a bright light on ACA doings at a politically precarious time,” noted Weber. The AMAC chief said that the next round of premium hikes may significantly outpace past increases.